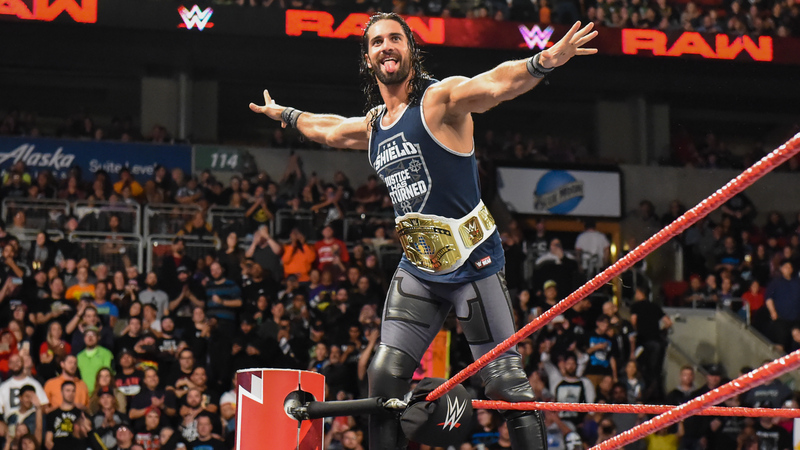 Believe-In-Rollins.com | Your Most Dedicated Source for Seth Rollins! 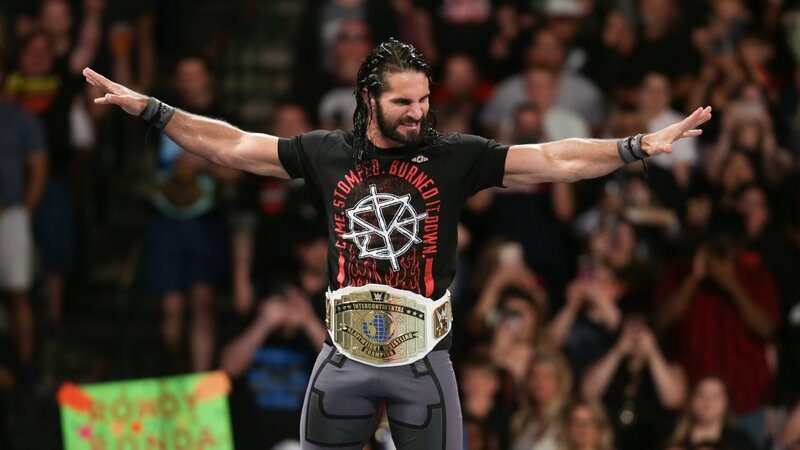 What, you thought a little 15-foot trip off the side of Hell in a Cell and through a table would be enough to take the Intercontinental Title off of Seth Rollins? 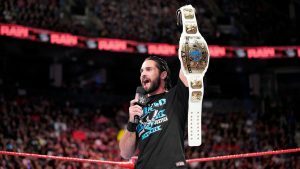 Despite an overt attempt by Dolph Ziggler and Acting General Manager Baron Corbin to swindle the championship off The Kingslayer’s waist — Corbin thought Rollins was too banged-up to compete and offered to hand Ziggler the title via forfeit if he invoked his rematch clause — the champion showed up and fought through the pain, denying The Showoff’s bid for his seventh Intercontinental Championship. Neither was at 100 percent. 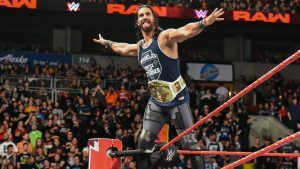 Rollins was clutching his back at every turn, and the typically spry Showoff was a step slower than usual, turning the bout into a war of attrition. Rollins was too worn down to complete the superplex-Falcon Arrow twofer, giving The Showoff a crack at a tights-assisted rollup. 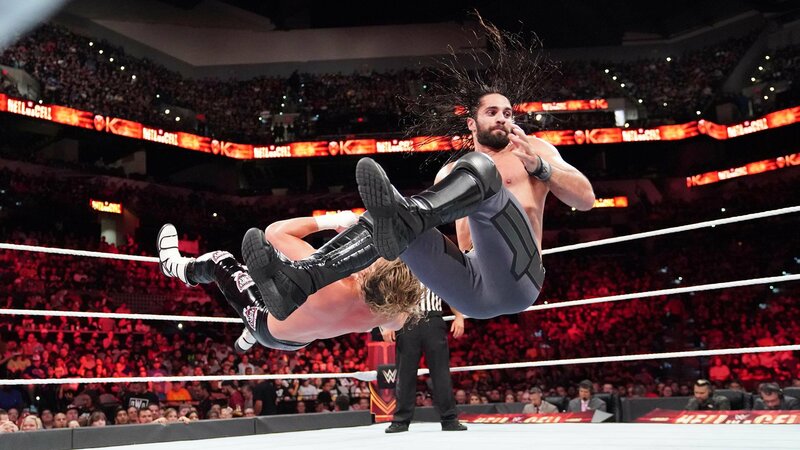 But Rollins had enough left to hit the Stomp seconds later, and even though it took him longer than usual to crawl over for the cover, two nights’ worth of damage was enough to keep Ziggler down for three. Give Dolph credit for a well-fought battle, but if anybody wants to end Seth Rollins’ Intercontinental Title reign, they’ll clearly need to throw him off a bigger cage. Braun Strowman showed up to attack Reigns after the restart, instigating a brawl that ended up roping in Dolph Ziggler, Drew McIntyre and the rest of The Shield. But even with all conceivable odds stacked in his favor, Corbin fell to a quick-strike Spear when he attempted to make his move. Strowman, Ziggler & McIntyre opted not to make a move on The Shield, seemingly preferring to save their energy for WWE Super Show-Down. So while it’ll take more than shenanigans to topple Roman Reigns as champion, that doesn’t mean a big fight isn’t on the way all the same.